We hope you can participate. Below is a flyer download and a pledge form, if you could help promote the event. Making Strides against Breast Cancer in the life saving successes of the American Cancer Society. Megan Carolin host of the event has a worthwhile goal. Let's join her fight and make a difference. 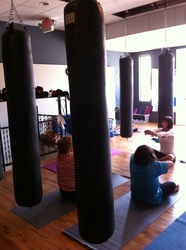 Smash Hit Kickboxing will have 3 hours of workouts so come and participate in any or all of it. There will be a $5.00 door donation or your choice, click on Megans picture left. Feel free to get involved, bring friends and family, and see if you know any food or drink vendors who would like to help. We will provide more info on the even soon. 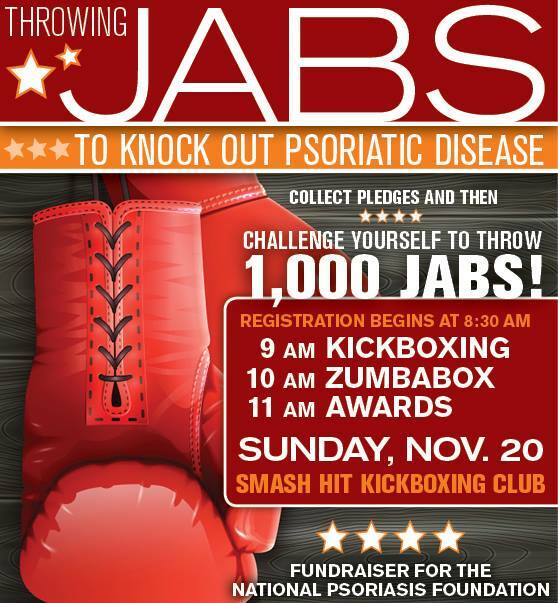 With your support, our Kickboxathon raised $4600 for St. Jude Children's Research Hospital! We are so proud to support this miraculous organization, and so grateful for every penny that you and yours have donated. Since opening 50 years ago, St. Jude Children’s Research Hospital has changed the way the world treats childhood cancer and other life-threatening diseases.No family ever pays St. Jude for the care their child receives and, for every child treated there, thousands more have been saved worldwide through St. Jude discoveries. 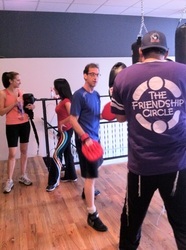 Smash Hit Kickboxathon to support Chipper’s Doxie and Newfie Rescues. Sunday September 16th, 2012 9am and 1015. Smash Hit Kickboxing Club's Kickboxathon event for Chipper’s Doxie and Newfie Rescue's top doner Dawn Nicholas with Mikey, a 10 year old Toy Poodle found wandering the streets of Southgatge. To rescue the old, the sick, the abused, and the abandoned who have committed not a single crime but yet are on death row in shelters and pounds. To find them loving caring homes that will treat them with kindness and compassiosion or the rest of their lives. Chipper's Doxie and Newfie Rescue is run by Marie Wildman LVT and Stan Wildman PHD. Our rescue is completely nonprofit. Chipper's Doxie an Newfie Rescue was started in honor of our beloved senior rescue dacshund "Chipper". He was found scrounging around the dumpsters behind a restaurant. An elderly dog that could barely see and was stone deaf, he taken to a local shelter that offered him no vet care. Luckily he was rescued by Forgotten Angels. We adopted him from them but only had him in our lives for 2 short months before he crossed the Rainbow Bridge. He touched our hearts. In his memory we started rescuing dachshunds and newfounlands from high kill shelters in MI, OH and Indiana. Because there are so many wonderful dogs with only days or hours left to live we also started pulling other breeds also. $50 to $250 depending on breed. All dogs are spayed/neutered and brought up to date on all of their vaccines. They are also checked for heartworm and intestinal parasites. Senior dogs have a complete blood workup done and have their teeth cleaned. 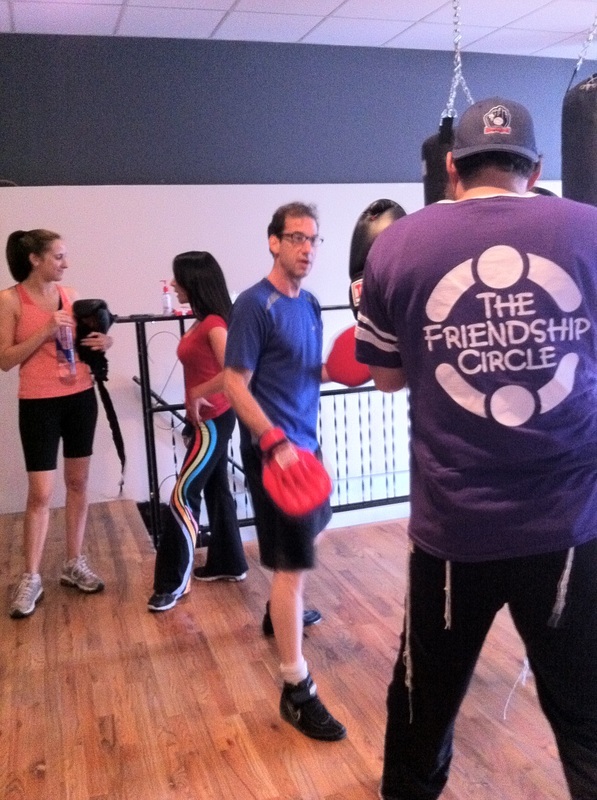 Smash Hit held our first Kickboxathon for Friendship Circle of Michigan to kick off our participation in the annual Walk4Friendship! We were able to raise over $7,500.00 for Friendship Circle, and we look forward to doing it again!